Produktinformationen "Wilson Pro Style Kicking Holder (WTF9913)"
Das Bild dient der Veranschaulichung. Abweichungen sind möglich. 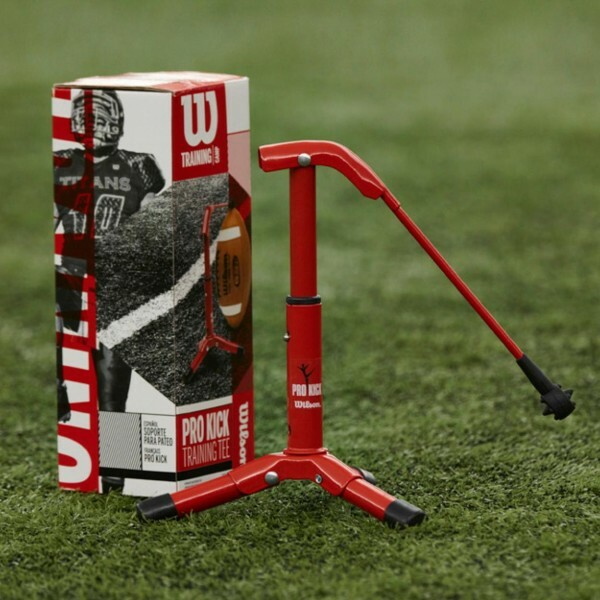 The Wilson Pro Kick is a great practice tool for your kickers because they can practice independently no holders required! The Pro Kick has a durable, all-metal design and holds any size football to the desired angle. It can work off a kicking surface or kicking block. The holder is even collapsible for easy storage and transport. The perfect kick can make the difference between a win and a loss, and practice makes perfect. Get your kickers the Wilson Pro Kick so they can practice, even when there's no one to hold the ball. NOTE: Football shown sold separately. Holds any size football to the desired angle. Works off kicking surface or kicking block. Weiterführende Links zu "Wilson Pro Style Kicking Holder (WTF9913)"
Kundenbewertungen für "Wilson Pro Style Kicking Holder (WTF9913)"